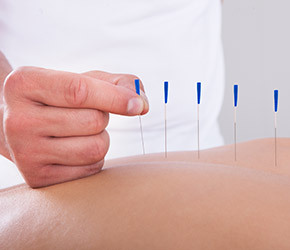 Consider Acupuncture for Allergies / Asthma / Anxiety / Digestive Problems / Fatigue / Headaches / Neck, Shoulder, Low Back Pain / Weight Gain / Trouble Sleeping / Cramps / Hot Flashes / Irregular Periods / PMS, and for many other conditions. Acupuncture uses needles for a holistic approach to pain relief, decreased stress, anxiety, and better overall health. Cupping can reduce pain and inflammation, increase blood flow, induce relaxation and a sense of wellbeing. Gua Sha is a healing technique that releases unhealthy elements from injured areas and stimulates blood flow and healing.